The best sports bottle for both hot and cold drinks. 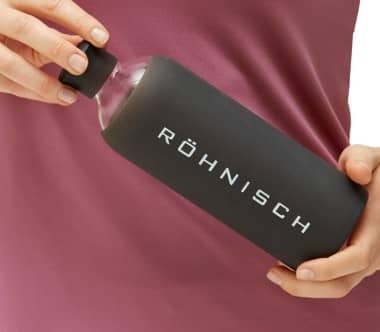 Glass bottle surrounded by soft, protective black silicone with a cap made of the same material. 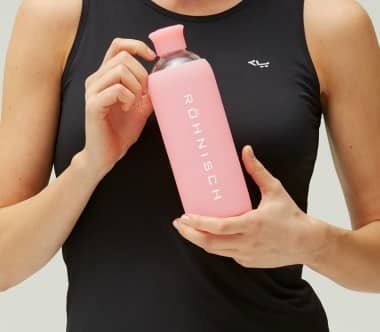 This sports bottle is free from BPA and phthalates and is dishwasher safe.